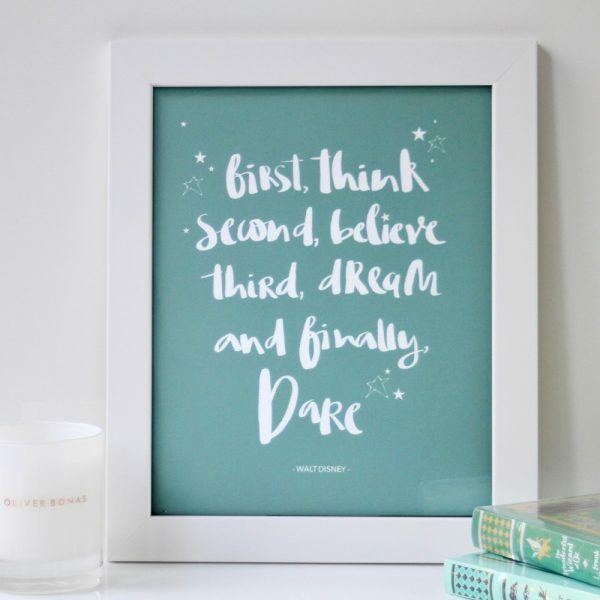 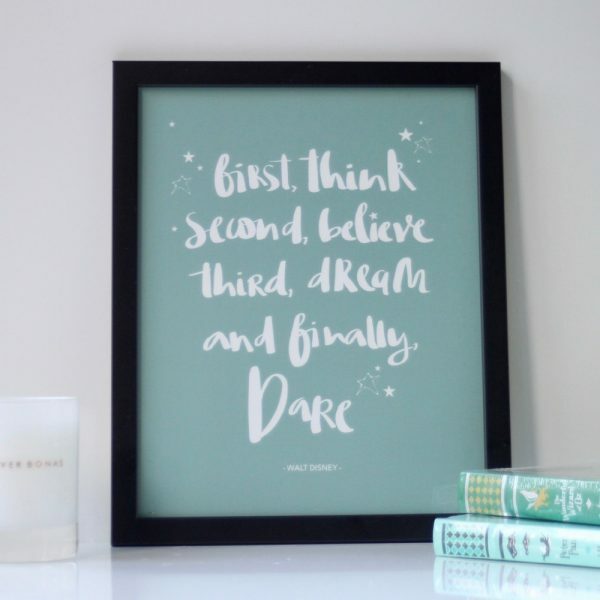 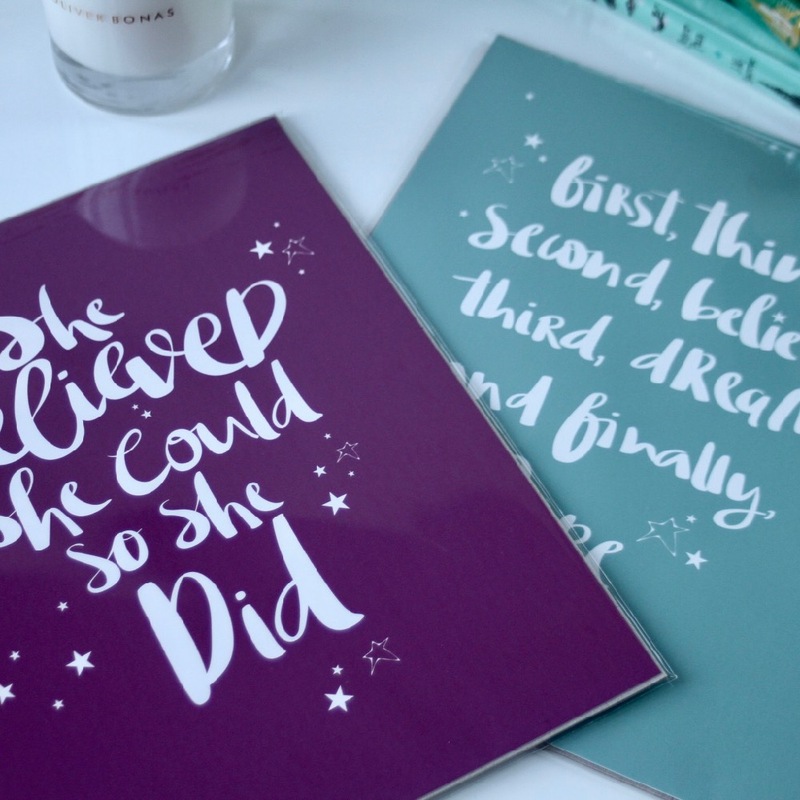 A beautifully hand lettered print celebrating the Walt Disney quote, ‘First, Think, Second, Believe, Third, Dream and finally, Dare’. Lovely words for your children (or us grown ups!) 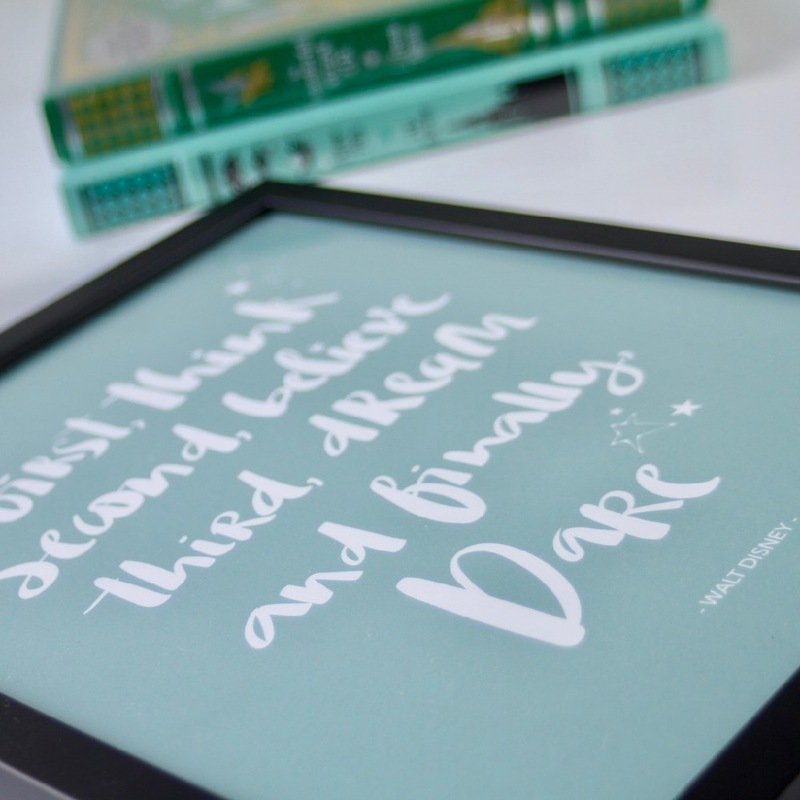 to fall asleep with. 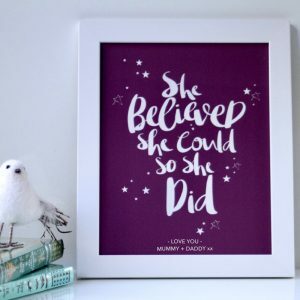 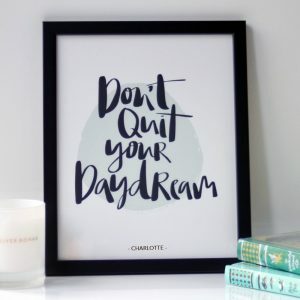 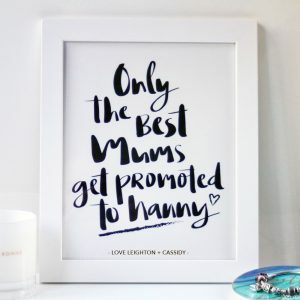 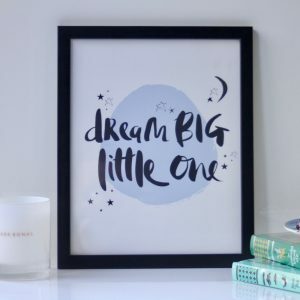 Inspired by my little ones this gorgeous hand-lettered print is perfect for either a new baby, as a Christening gift, or just as a special gift for someone you love to brighten up their room. 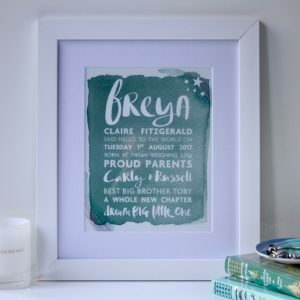   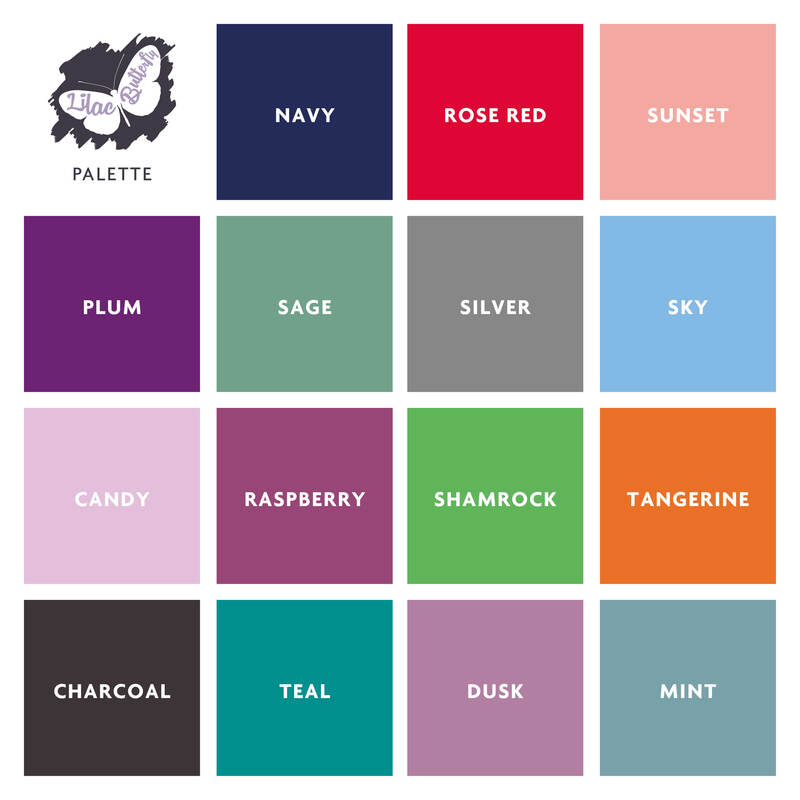 This print can personalised with a name at the bottom with no additional cost.